Ever wish you had been given the sales manual on how to handle every selling situation you face each day? Now you can! In Power Phone Scripts, you will never be at a loss for what to say to open and close more sales. Voice mail and email campaigns – already written for you! Get the conversation starters and word-for-word rebuttals and answers you need to expertly open and close more sales – starting today! In Power Phone Scripts, you’ll discover a plethora of ways to develop interest, identify buyers, deal with common objections, and much more. To achieve success, practice these scripts, internalize them and finally, make them your own. If you do, you will soon be selling more, with a lot less resistance. Mike Brooks has done it again. He’s created a whole new book of scripts with new content updated for today’s salesperson, including email and multitouch plans you can use right now. 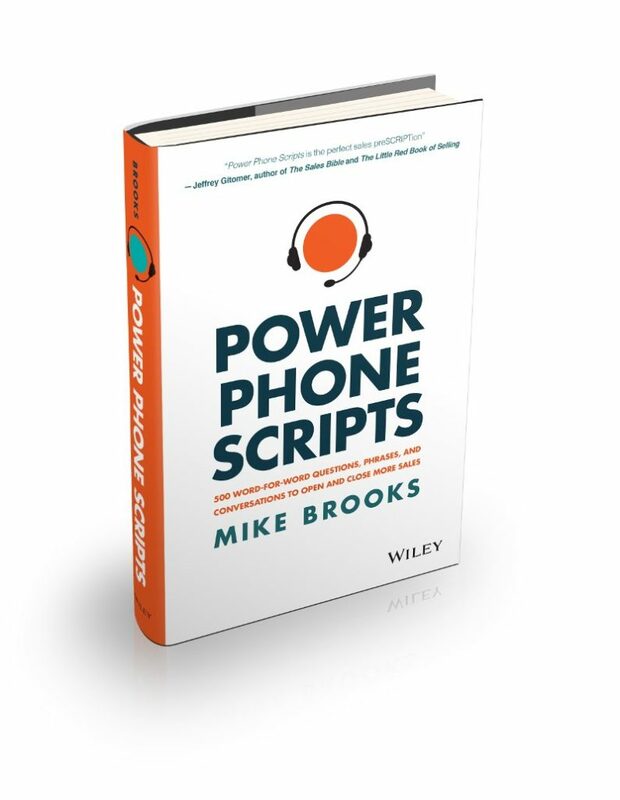 His fresh and modern approach to the blocking and tackling of sales will surely make Power Phone Scripts another classic desk-side reference manual for all salespeople. they close more sales, but they’ll be more confident and motivated! Mike became the number one producer out of a team of 25 reps in just 90 days using the habits, skills, and techniques he writes and trains on in his books and onsite training. Power Phone Scripts shows you exactly how to do it.